I was lucky enough to be invited along with many of my fellow bloggers to the Random House Children's Books blogger's brunch at their offices in Vauxhall. I can't describe just how much I love events like this. There is nothing more exciting that drooling over up and coming titles and being the first to see them as well as catching up with good blogging pals. We also got to meet three fabulous authors. At the front of the photo, you will see John Lucas, Victoria Lamb and Bali Rai who all have new books coming out with RHCB this year. For details see below. We were also treated to home made Whoopie pies which they made using the recipes found in Whoopie Pie Fun which you know I am now going to have try out! I was made to eat two by Lynsey from Narratively Speaking and now I am addicted! This book is available to buy now. Random House have some excellent books coming out and I thought I would share them with you. First we have Fallen In Love by Lauren Kate which is coming out at the end of January (26th to be precise) which is a collection of short stories dedicated to love and featuring characters from the Fallen series. This would be an ideal present for a loved one on Valentine's Day. 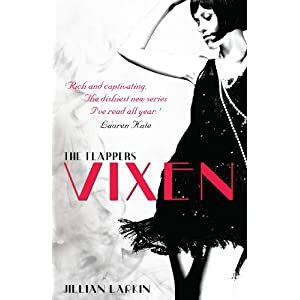 The final book in the Fallen series, RAPTURE will be out in June and will probably top the book charts again in its first week of release as you guys just can't get enough of this series. Now there is something special happening with the cover of the book, but until I have more news you will have to wait patiently for me to reveal it. So WATCH THIS SPACE! 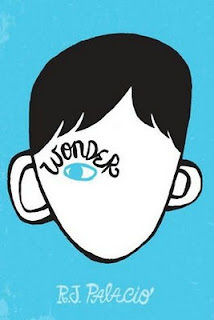 Wonder by R.J. Palacio is already causing a storm on Twitter and rightly so I believe. This book will make you cry, so do not read it in a public place where you value your image. This book was inspired by real life events and handles the very difficult and delicate issue of looking different to everyone else with sensitivity and honesty. The author, who is an editor at Workman publishing, was in an icecream shop with her children, when a young girl entered the shop with a similar condition to the character in the book. Her children were confused and upset and she herself didn't know how to react and from this chance meeting her story was born. 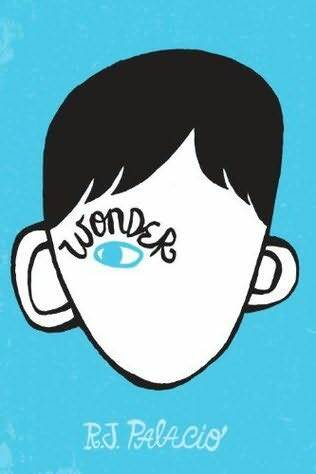 In June of last year, R.J. Palacio was picked by the Times as being one of the hundred people to watch in the future. I am really excited and intrigued by this book as well as frightened of how I will feel reading it. I get the impression this is one of those books that just stays with you. Transworld are also publishing it as an adult book, but *whispers loudly* buy the one from Random House Children Book when it comes out on the 1st of March. I have to say, I am completely in love with this cover. 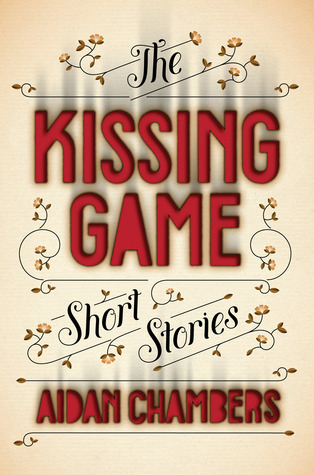 The Kissing Game by Aidan Chambers is a collection of flash fiction stories which feature teenagers. From what I can gather it is very dark in tone. Now I really love flash fiction, so I will definitely be interested in this one when it comes out in March. Aidan Chambers is a renowned prize winning author, who has won the Carnegie Medal for Postcards From No Man's Land as well as the Hans Christian Anderson Award which is the highest international honour to be given to a chidren's author. Aidan also has a new full length novel called Dying To Know You coming out in May 2012, which has the feel of Goodnight Mr Tom and captures the awkwardness of youth. There will be a short story coming out before the book is published in March, sort of like a pre starter. If you happen to go to the cinema to watch The Hunger Games soon, this cover will be there to greet you in the advertisements. This book is going to be HUGE! I have just seen the US cover of this and I have to say I much prefer the UK. The American one resembles the books of another YA author who has recently written about the 1920's. This book debuted in the US last year and Jillian Larkin got an amazing response becoming the favourite debut with many bloggers. This is the first in a trilogy about the 20's/ and comes out in March. I can see you all reading the author's name and questioning whether it is the 'real' Simon Mayo, well yes it is. Simon Mayo is a bit of a legend, who I remember from the morning breakfast radio show on Radio 1, who is now known for being the King of Drive time on Radio 2. He really is a major household name if you live in the UK. This book came about from interviewing scientists for Radio 5. After listening to them, he came up with the real life super hero - Itch! Itch doesn't need any super tech gadgets or secret weapons; his passion for chemistry and his love of the periodic table leads him on an adventure. If you like the Alex Rider books then you will love this one. It comes out on the 1st of March. Where She Went is the follow up to the worldwide hit - If I Stay and continues the story of Adam and Mia. The film rights for If I Stay have just been optioned by Summit who made Twilight! Squee. Out on the 19th of April. 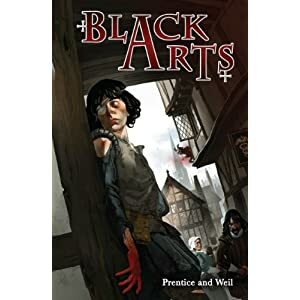 Black Arts is a joint collaboration between Andrew Prentice and Jonathan Weil. 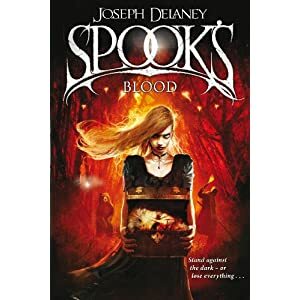 Set in Elizabethan London, we find Jack the 'Judicious Nipper' who picks the wrong person's pocket and find himself mixed up in the world of the occult. Described as a 'mind-blowing adventure series filled with no-holds-barred sword and pistol swashbuckling, alchemical time travel and mystery'. Very exciting. This one is an ideal book for the more confident readers at MG level. I have been excited about Struck since I first heard about it last year. If you don't follow Jennifer Bosworth on Twitter, then you should! This book will be BIG. It is described as 'Heroes meets How I Live Now' and is the second offering of dystopian fiction from RHCB this year. 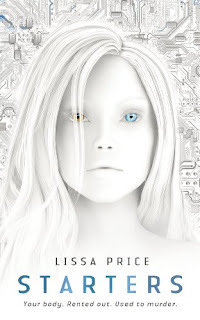 Mia Price, the lead character, is a lightening addict. She has survived countless strikes but with each one she is endangering her life more and more. Within this book expect a country in ruins and eerily familiar massive earthquakes. Will Mia be able to save the world? From what I have heard, Jennifer's husband is a film director and he has created a wicked trailer for her! 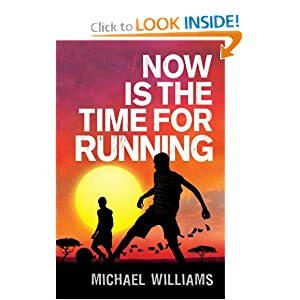 Now Is The Time For Running is set on the dusty fields of Zimbabwe, where Deo finds meaning in football. He is a huge Man United fan and with his home-made ball, he hopes to make it big one day. This book is violent and harrowing and is one that needs to be read. Told in first person, you learn the events of the book at the same time as Dio, keeping you on the edge of your seat. If you enjoyed Out of Shadows and Unhooking the Moon you will love this, though do be prepared to cry. Michael Williams is the managing director of Cape Town Opera in South Africa and will be touring the UK in June to celebrate the publication of his book on the 7th of June. Blood is the tenth installment in the chilling Wardstone Chronicles. Now I have read the first three books in this series and I really did enjoy them, so I must catch up with these books soon. For Tom, the Spook's apprentice, the pressure is on. Having bound the Fiend's spirit temporarily, he must come up with a permanent solution. But the forces of evil are throwing everything they have at him, and with the Spook's health ailing, he has to face more and more on his own. The first book in the series will be released as a film on the 13th February, with Jeff Bridges playing the Spook. Exciting stuff! This book looks closely at bullying and manipulation. I am VERY EXCITED by this book! Witchstruck by Victoria Lamb will be the first book in a five part series. Set during the Tudor period, we are introduced to Meg, a feisty, powerful teenage witch, and her brooding, charismatic counterpart, Alejandro. Meg is set to marry someone who can only be described as a dirty old man, who happens to also be a witch finder! This page turning historical thriller, is full of smouldering sexual tension and dark supernatural undercurrents. Imagine Stephanie Meyer creating a book with Philippa Gregory with Celia Rees, checking for full stops. Roll on the 5th of July! Seraphina by Rachel Hartman is filled with dragons who can take on human form. With a sizzling love story, this fast paced fantasy will appeal to fans of Christopher Paolini and Anne MaCaffrey. Think Eragon meets Game of Thrones with a female twist. Out on the 9th of July. 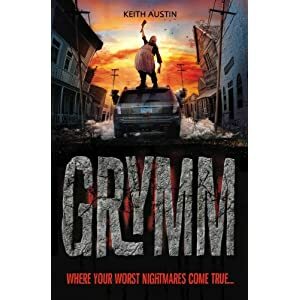 If you are a fan of Darren Shan and the Spooks series, then you will love Grymm by Keith Austin . When it was described it to me, I kept imagining the programme 'Eerie Indiana' but with distorted fairy tales. A family moves to the town and something is just not quite right. When the main character's baby brother disappears, his parents seems to forget he exists after they had casually wished him away the night before. Full of dark humour, with elements of the League of Gentlemen in it, I think this one will be very popular with the boys. As you can see some awesome books coming out between now and the end of July. We also got to hear about books that will be published later in the year. Here is a quick rundown of the other books to be published. An exciting year for Random House Children's Books! Wow! 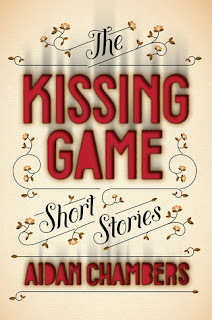 Really looking forward to Wonder, The Kissing Game and Struck. A cross between Heroes and How I Live Now - excellent! And Simon Mayo! Sorry to hear about your back, here's hoping you are soon back on your feet. A great selection of books, thanks for sharing. Wow, so many great titles! 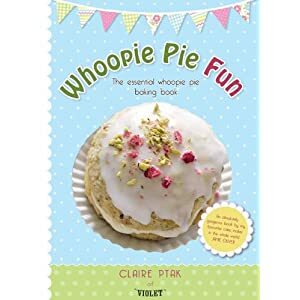 These events look like so much fun even if they do make you eat whoopie pies! lol I hope your back is better soon! Wishing you a speedy recovery! Take good care, Viv. The books all look really good. I'm so sorry to hear that your tied to bed. I hope you're better next week! It sounds like a wonderful event and I do like the sound of several of the books Random House has in store for us in the future. 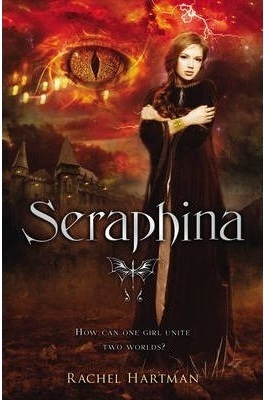 I'm especially curious about Seraphina by Rachel Hartman :) Love me some dragons. These events sound like such fun and you're so lucky to attend them. It sure looks like a lot of great books coming out this year. I really want to fit more YA into my reading schedule! I hope your back feels better soon. Take care Viv! Seraphina and Starters first they both look amazing - the covers are gorgeous - and second they sound like by kind of reading.